Our very first Author in Residence, Beth Kephart, is a critically acclaimed, gracious writer who will be on the rgz team through December. Check out her mini-issue at the rgz website. Welcome this author of HOUSE OF DANCE, UNDERCOVER, and NOTHING BUT GHOSTS! Last month's winning entries have been published on Beth's blog, so go read the lovely words of Jennifer Petro-Roy, Erin McIntosh and Lauren Miller! "I read books to meet new characters, to go new places, and to find out what happens. I also read to learn how the author has chosen to choreograph the narrative. Is it a straight-forward telling, or a book that turns round on itself? Does the story speed up and slow down, are there embedded refrains, which themes recur, which details, and why? Watch this video (below), then share with me one of your own poems or short (up to ten lines) pieces of writing. Tell me, with your submission, just how you thought about the piece as lyric. What, in other words, was your choreographic strategy? "Send your entry to me at kephartblogATcomcastDOTnet by October 25, 2009. The author of the winning paragraph will receive a signed copy of House of Dance, a novel about a young girl who, in taking care of her dying grandfather and learning about the life he once lived, decides to offer him one final gift. The winning work will also be posted on my blog." "The heart thrust of a story..."
I'm thinking that this is just one of the many reasons why I love Beth's books so much. I'd never thought of books as being choreographed until now, but with Beth's books, it's exactly true. I just got Nothing But Ghosts in the mail today. Beth just completely inspires. I'm reworking a chapter because of this video. Thank you, B.
Chat tonight with Janet Lee Carey! Get ready for the Cybils! STEALING DEATH chat this Wednesday! Amber Kizer's MERIDIAN Release Party! How do we choose books at rgz? September: Which Character Would You Be? Did you LOVE the rgz trailer music? Enter to Win Our First Writing Challenge! rgz Teen Read Week trailer! rgz Teen Read Week banners! rgz Teen Read Week poster! rgz Read Beyond Reality launches Monday! Rgz HOST: Heather Davis Release Party! Diva Melissa Walker on NPR! Rgz HOST: Frank Portman Party! 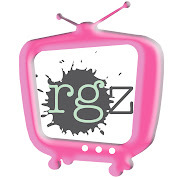 Coming up: rgz LIVE! chat with Kristin Cashore! The Mooring with Miss Erin! Janet Lee Carey: Party in Seattle!